The official - unofficial AngularJS cheatsheet. Formats a number as a currency (ie $1,234.56). Creates a new array containing only a specified number of elements in an array. Finds links in text input and turns them into html links. Formats a number as text. If the input is not a number an empty string is returned. You can inject the $filter service and do $filt­er(­'fi­lte­rNa­me'­)(v­alue[, :optio­nal­Par­am][, :optio­nal­Par­am]) in use it in your javasc­ript. Name of the current scope. Optional defaults to the name at regist­ration. Compiles contents on parent (pre-i­solate) scope. Usually used with ngTran­sclude & templates. For transf­orming the template (rare, run once per template instance). Executed after template is cloned (run once per clone). Contains most logic (DOM listeners, etc). Contr­oller can be an array. ng-options="select [as label] [group by group] for ([key,] value) in object|array"
Use this method to register work which needs to be performed on module loading. Because the constant are fixed, they get applied before other provide methods. Use this method to register work which needs to be performed when the injector with with the current module is finished loading. Holds the list of modules which the injector will load before the current module is loaded. Executes logic within the AngularJS context and refreshes all models checks. Watch a model (exp) for changes and fires the listener callback. Pass true as a third argument to watch an object's properties too. The following directives create child scopes: ngInc­lude, ngSwi­tch, ngRep­eat, ngCon­tro­ller, uiIf. Calls to the same ngCon­tro­ller will create multiple instances and do not share scopes. Remember to traverse up the tree to affect primi­tives on the intended scope: ng-cl­ick­="$p­are­nt.s­ho­wPa­ge=­tru­e"
Returns a function which calls function fn bound to self (self becomes the this for fn). Use this function to manually start up angular applic­ation. Creates a deep copy of source, which should be an object or an array. Wraps a raw DOM element or HTML string as a jQuery element. Determines if two objects or two values are equiva­lent. Extends the destin­ation object dst by copying all of the properties from the src object(s) to dst. Invokes the iterator function once for each item in obj collec­tion, which can be either an object or an array. A function that returns its first argument. This function is useful when writing code in the functional style. Creates an injector function that can be used for retrieving services as well as for dependency injection. Determines if a reference is an Array. Determines if a value is a date. Determines if a reference is defined. Determines if a reference is a DOM element (or wrapped jQuery element). Determines if a reference is a Function. Determines if a reference is a Number. Determines if a reference is an Object. Unlike typeof in JavaSc­ript, nulls are not considered to be objects. Determines if a reference is a String. Determines if a reference is undefined.  Converts the specified string to lowercase. Namespace from 'angul­ar-­moc­ks.js' which contains testing related code. The angula­r.m­odule is a global place for creating and regist­ering Angular modules. Requires argument always creates a new module. A function that performs no operat­ions. Serializes input into a JSON-f­orm­atted string. Converts the specified string to uppercase. An object that contains inform­ation about the current AngularJS version. Called when the view needs to be updated. It is expected that the user of the ng-model directive will implement this method. Creates a Deferred object which represents a task which will finish in the future. Great stuff! Would be good to add compatible Angular version(s) at the top. Hi Dillon. I've fixed the search and "ng-app" now returns the right rows. Thanks for letting me know about the problem! The build-in search was choking on soft hyphens, but I've fixed the problem now and search is working normally. I had no idea you were still working on this website, I was under the impression it was one of those side projects that just fell by the wayside. HOW do I let other people collaborate on the cheat sheet with me? It's really annoying that I'm the only one who can work on a sheet. Also, how about descriptions at the TOP of content panes? Not exactly by the wayside, but I've been struggling with the new PDF builder for ages. Didn't seem to be much point in working on anything else until the compilation process and builder were fixed (and both are almost finished). Collaboration is something I'm going to be adding in the future, but I'm not planning much until after the builder stuff is done. Hyperlinks in that style and line breaks are both good ideas, and as above - as soon as the new builder is done those are on the list. Line breaks will be a little tricky, as the new builder does a lot of line count estimation to try and paginate the PDFs better, but definitely something I want to add. For underscore, do you mean in the titles? I'll add that in the current round of dev. I'm just talking about having more formatting options at my disposal. Personally, this specific cheatsheet isn't super PDF friendly, and I think almost everyone can 'print to pdf' nowadays, so it might be easier to focus on a simple print stylesheet. The PDFs don't display the text correctly. ng-if is missin in the list of directives. I was working on showing a popover on ng-click of a button. I have an issue, the popover shows up after the second click on the button. Am not sure why this is happening,please let me know if am missing something. Awesome stuff. Keep on adding more good stuff here. Also it will be great if you can put last updated date, so that visitors know when new stuff is added to this cheat sheet. Anyways good work. The PDF is not displaying correctly. It cuts the top of every letter and it is almost too difficult to read. I wanted to print it out to post it, but it is not easily readable, unfortunately. Is it possible this can be fixed? Cheatography is a collection of 3197 cheat sheets and quick references in 25 languages for everything from science to travel!